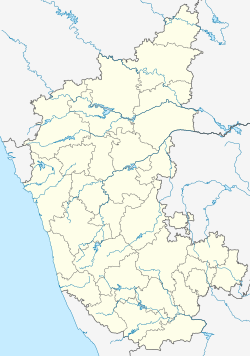 Chikkodi is a taluka and Town Municipal Council city in the Belagavi district of Karnataka, India.It is a Subdivision of the district.Chikodi,Athani,Hukkeri,Raibag,Nipani,Kagwad taluks come under Chikodi Subdivision.Chikkodi has many district level offices but it is not designated as a district by the State Government. Around 200–300 years ago, Chikkodi was called as Chik-kodi (small village), while the nearby Hirekudi (big village) was bigger than Chikodi. Over time, Chikkodi experienced growth due to its famous betel leaves and its position on a major road. Chikkodi is located at 16°26′N 74°36′E﻿ / ﻿16.43°N 74.6°E﻿ / 16.43; 74.6. It has an average elevation of 683 meters (2240 feet). The town has an area of 18.29 km2, and is situated amidst hills. Temperature varies from a maximum of 35⁰ C to a minimum of 18⁰ C, maximum average rainfall annually is 826.64 mm. As of 2011[update] India census, Chikkodi had a population of 38,307. Males constitute 51% of the population and females 49%. The average literacy rate is 73%, higher than the national average of 59.5%; with male literacy at 79% and female literacy at 66%. Chikodi is mostly dependent on agriculture. Sugarcane occupies an important place in the economy of Chikkodi which has three sugar factories, Dudhaganga Krishna Sugar Factory, Nanadi which is the nearest, Venkateshwara Power Project Ltd. Bedkihal, and Om Sugars Ltd. Jainapur among others. Tobacco farming is another major agricultural sector. Major production of tobacco comes from Galatga, Shiragaonwadi, Tapakarwadi, and Khadaklat villages. Recently the trend of Sericulture is picking up. Chandrakori Ganesh Temple - near bus stand on top of hill is very famous temple of lord Ganesha. There is one more temple known as Parati Nagalingeswara (Parati Nagappa) temple, located about 2.5 km away from the bus stand. Karoshi - Shree Basavanna temple is situated in the holy place of Karoshi, is located about 7 km from Chikkodi. It is having a famous Darga, also this indicates the communal harmony it has. This place is agriculturally sound. Shantigiri Jain Temple - It is about 10 km from Chikkodi. This village can be considered as one of the highlighted centers of Jain history, Where the shri shantigiri Tirth is situated. Chinchani - Having Allamprabhu Sidd Sansthan Math, Shri Basaveshwar temple (Gudadagind basavan) located near 5 km from Chikodi. Toranahalli- Famous for Bhagavan Hanuman temple is present in this village near 10 km from Chikkodikodi. Shiragaon - Famous for Basaveshwara temple and it is near 11 km from Chikkodi. Gokak Falls (Near Gokak) & Narsobawadi (Maharashtra) are also near to the city. Hidkal Dam - near to city. Basavanal Gadde- Lakkavva Temple in Laxmi Nagar is one of the oldest temples in around the town. APTECH Computer Education Institute running since 1995. Government Tool Room & Training Centre (GTTC).. There is also a proposal to start Sub-regional Science Centre and Automated driving test track in Chikkodi..
Belagavi district is the largest district in the karnataka so bifurcation of district is must. Bifurcation of Belagavi district, which includes a total of 14 taluka's, has been a long pending issue. Karnataka Govt. has already provided the District level offices to Chikkodi which would help in the development of neighbouring talukas of Chikkodi, Hukkeri, Athani, Raybag, Nipani, and Kagawad. But as of now no decision has been made regarding bifurcation of Belagavi district and also not declared Chikkodi as a separate district status by Karnataka Govt. The attempts of the Government declaring Additional Superintendent of Police (SP) post for Chikkodi.. Majority of public transport in Chikkodi connecting surrounding villages and towns is through city buses run by North West Karnataka Road Transport Corporation (NWKRTC) from Chikodi bus depot. Auto rickshaws are commonly available for commuting inside the city. Chikkodi is well connected by road by major State Highways which connect to National Highway 4. The State Highways passing through Chikodi are: SH 18 (Mudhol to Nipani), SH 12 (Vijayapur to Sankeshwar) and SH 78 (Ichalakaranji to Hattargi). State Highway 12 has been declared as the National Highway which goes from Sankeshwar to Vijayapur via Gotur-Chikodi-Kagawad-Athani-Tikota. NWKRTC runs buses from Chikkodi to all corners of Karnataka as well as neighboring states. Rajahamsa and A/C Sleeper coach services to Bengaluru daily. There are many prominent private bus services like VRL, SRS, Manish, Shyamala and SEABIRD Travels from Chikkodi to Bengaluru daily night. Ganesh and Sugama Tourist which operates daily night from Chikkodi to Kundapur, Udupi, Moodabidre and Mangalore. The closest railway station is Chikkodi Road Station located at a distance of about 20 km (near Kabbur). This station falls under South Western Railway Zone. The closest airports are Belagavi Airport and Kolhapur Airport located at a distance of about 70 km and 60 km respectively. And nearest international airport is Dabolin International Airport, Goa which located at the distance of 193 km. Wikimedia Commons has media related to Chikodi.